On Thursday, Facebook COO Sheryl Sandberg assured members of the Congressional Black Caucus (CBC) that the social media company will name a black director to its board “within the foreseeable future.” Currently, Facebook’s eight-member board of directors is all white and 75 percent male. Sandberg’s meeting with the caucus was just the latest stop in an apology tour launched after Facebook faced harsh criticism for denying, back tracking, then finally admitting the key role it played in Russia’s disinformation campaign. As part of its campaign, Politico reports, Russia pushed ads that implied rising black militancy, including images of black women holding guns and text decrying police brutality, stoking anxiety about an armed #BlackLivesMatter uprising. 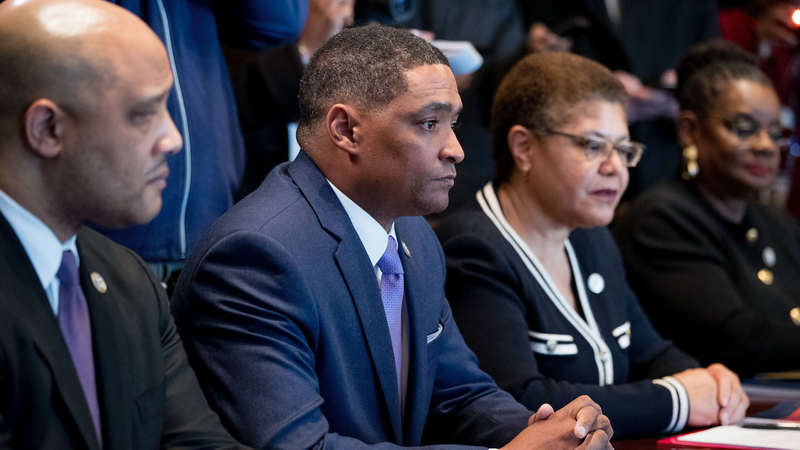 “What we needed Facebook to understand is that they play a role in the perception of African-Americans, and they are influencers that use their platform to influence this country,” Cedric Richmond, CBC chairman, told reporters. Given the make up of Facebook’s leadership, diversity gaffes are unsurprisingly routine. In 2016, CEO Mark Zuckerberg defended white billionaire conservative Peter Thiel’s inclusion on the board as “diversity.” In March of this year, he lectured students North Carolina A&T State University, a historically black college, about the merits of diversity using factually erroneous information. There were many empty platitudes about the importance of hiring woman and people of color, but the company’s diversity report, released in August, revealed the company only hired about 40 more black people in 2017 than in 2016—out of 2,000 new employees. This, of course, is in addition to the racism and anti-Semitism on the platform that seems to make headlines almost every month. In September, Pro Publica exposed Facebook’s black box algorithms were creating “jew hunter” targeted marketing categories. The same investigative team unearthed last year that Facebook was in danger of violating the Civil Rights Act by letting advertisers exclude users based on race. In any case, Facebook’s board is surely excited to make its first black friend.